recently branched into a range of pH sensitive mingewashes. 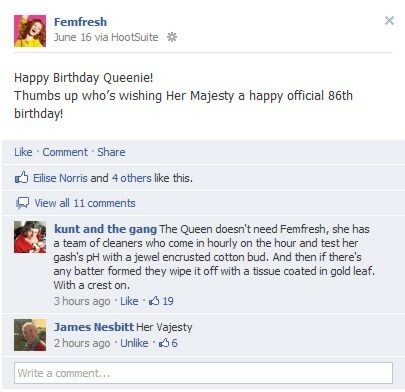 ‘frou frou’, ‘la la’ and ‘vajayjay’. 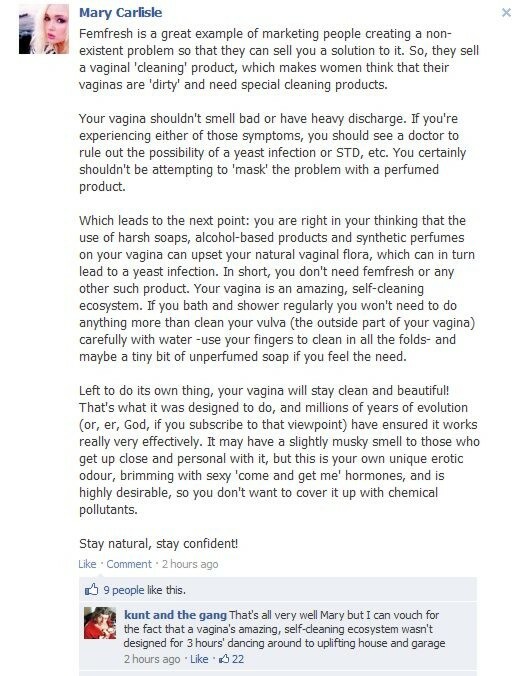 being an unnecessary and misogynistic product. about their frontbottoms, which I am all for, and tried to get involved in the discussions. with the ‘frou frou’ and ‘la la’ business. People were calling it a Social Media Disaster. 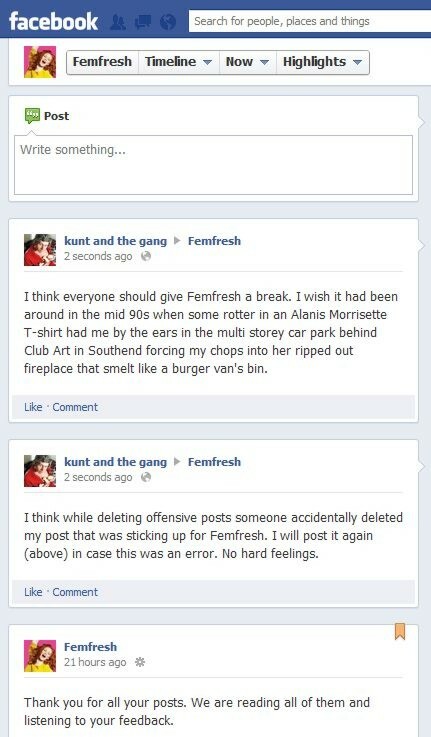 help Femfresh put their side across. Unfortunately in the melee my original post got deleted by mistake so I re-posted it. 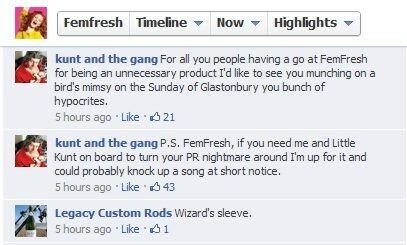 Femfresh publicists ‘a bunch of frou frous’. 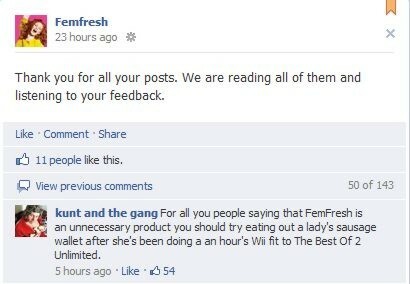 Sadly this did not work and the Femfresh Facebook page was taken down. for six months - so I can only presume that it was completely unrelated. if you ever need a jingle for an advert (paid only).